Skills Support for the Workforce Priority Sectors – Delivery of training units at Level 3 or above in the following sectors; nuclear, advanced manufacturing, transport / logistics / visitor economy, land based / agri-services, construction, health and social care. 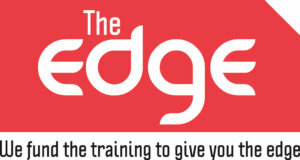 The Edge is a collaboration of Further Education Colleges, the University of Cumbria and training providers such as SP Training, led by Carlisle College. If what you are looking for is not on the list please contact us as we may still be able to help or refer you to another Edge partner who can help.